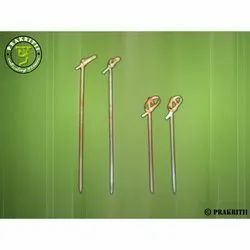 Fine Decorative Wooden Stick Available In Different Designs Sizes. We I-Max International are the leading manufacturing, trading, wholesaler, supplying, exporting and importer a wide range of China Wooden Stick and many more.We are mainly focussing on regions like Andhra pradesh, Tamilnadu, Karnataka, Kerala, Maharastra and locally Chennai. 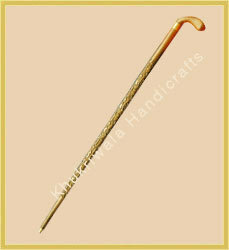 We are a unique name in the market to provide our honorable customers an exclusive range of Brass Handle Wooden Stick. avelible all sixes . best quality wooden strick ..
it can be availed at market leading prices. By keeping track of current market development, we are manufacturing an excellent range of Wooden Churning Stick. With rich industry experience & knowledge, we have been able to provide the best array of Red Sandalwood Sticks. We are the manufacturers of Walking Stick that are molded into different forms and shapes. The alluring sticks have clocks on the top which acts as an additional attractive feature. Fabricated using quality grade Brass, aluminum, wood these are acknowledged for their lengths as it is suitable for people of different heights. Further, these can be customized as per the client’s specifications.